Below you will find just some of the work we have done for our clients. This desktop came to us with a booting issue. We diagnosed it with a corrupt installation of Windows 10. We reinstalled Windows 10, reinstated the clients data and software and updated Windows to the latest build. We also made some modifications to the BIOS making the machine boot up a lot quicker and perform much faster. This machine came to us with a number of problems, continuous crashing, blue screens, running slow and generally unusable as a desktop. Considering it had fairly decent components it was not behaving as it should. 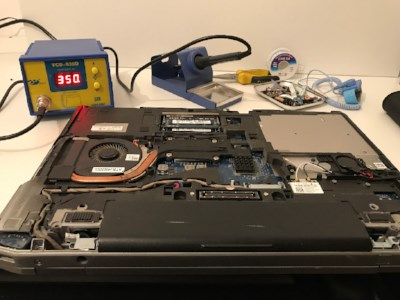 We ran a full diagnostics and found many problems pertaining to the issues described by the client, we also found that the wiring inside the machine was so poor that it trapped hot air around the CPU thereby causing it to 'throttle' in order to keep itself cool. We were able to update the machine to Windows 10 and address all the issues identified. The machine now runs extremely quick and cool. 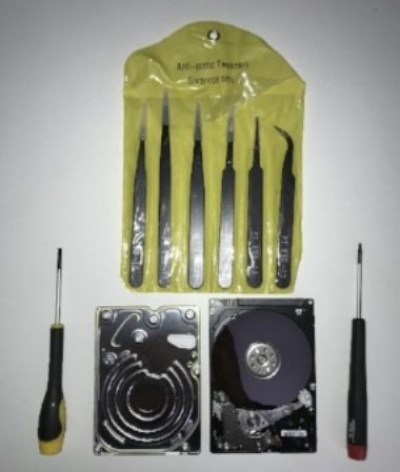 Successful repair and data recovery from a Western Digital 750GB laptop hard drive. We replaced the hard drive read heads and recovered all the data from the disk. This picture was taken post operation and recovery. 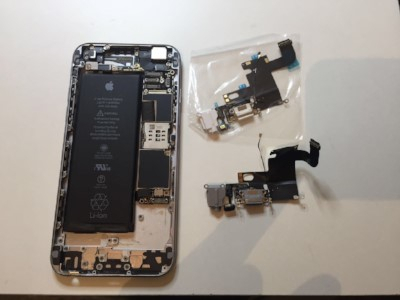 iPhone 6 charging port and headphone jack replacement. 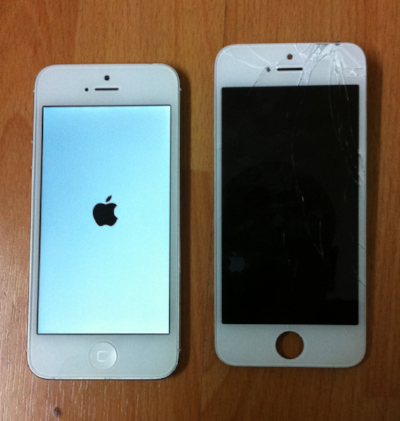 iPhone 5 screen replacement in 30 minutes. 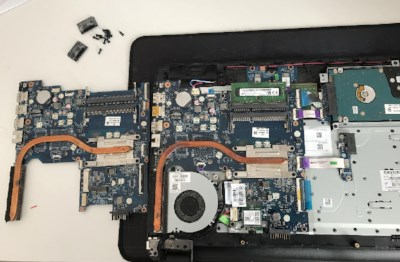 Successful HP laptop motherboard replacement. Replaced, tested and delivered in 2 hours. This Acer gaming laptop came to us with broken hinges on either side. 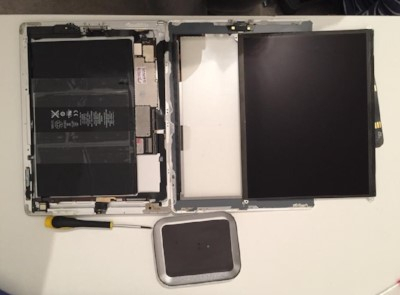 The laptop screen would not support itself when opened and therefore could not be used. Damage was also caused to the WIFI cable and LVDS (display) cable. The cost of replacing all of these parts was out of the clients budget, so we rebuilt the hinge supports on both sides. 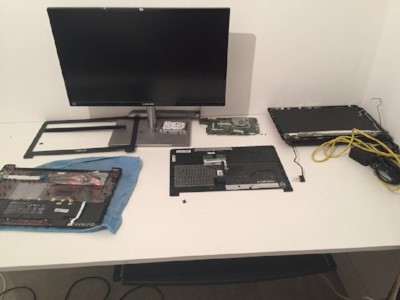 Repaired the WIFI and LVDS cables and delivered a fully functioning laptop. 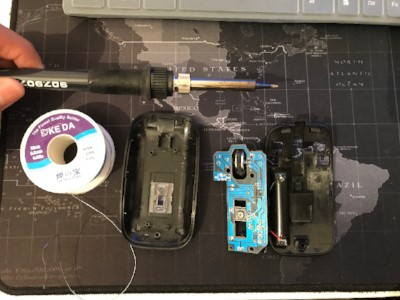 The client was very attached to this wireless mouse, but it was not functioning at all when it came to us. We found and replaced all damaged components and now she squeaks once more. Another successful HP motherboard transplant. 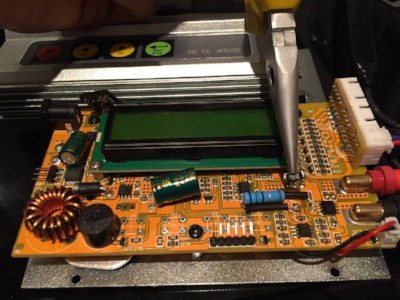 Not many repair centres will repair an iPod classic, this is because it is extremely difficult to open the device without causing damage to the components inside. We have successfully repaired a number of iPod classics with faulty batteries, charging faults and faulty hard disks. 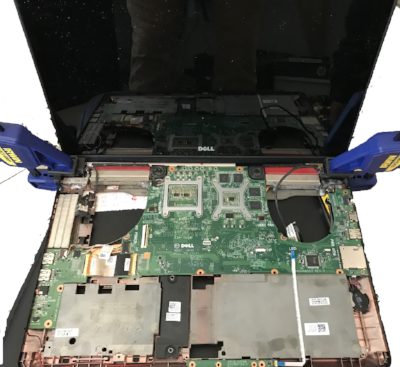 This Toshiba laptop came to us with continuous random shutdown issues. We diagnosed this with an overheating problem. 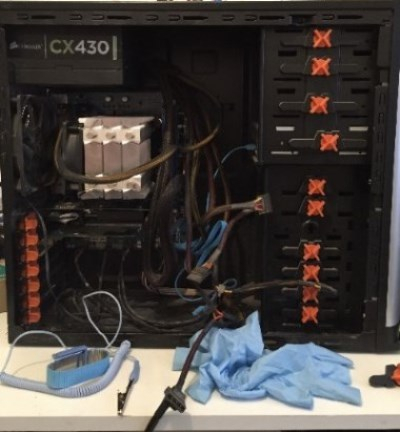 We serviced the CPU by replacing the thermal coupling material between the CPU and copper heat pipe as well as clearing dust from the fan and surrounding air vents. 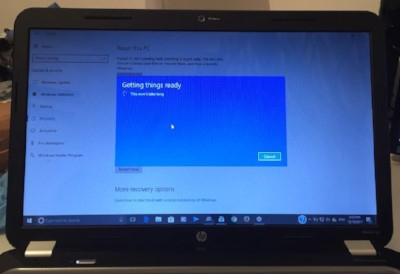 Successful upgrade of a HP laptop from Windows Vista to Windows 10 Pro. 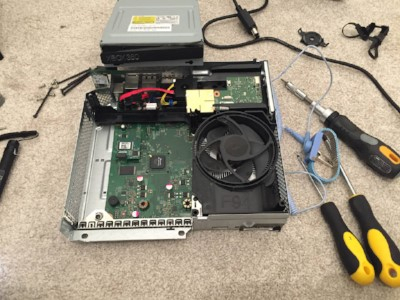 Here we successfully repaired an Xbox one dual controller charger. We converted the rear USB mini B port which was an extremely fragile design, with a solid 3.5 mm audio jack. This conversion made the unit a lot more robust. 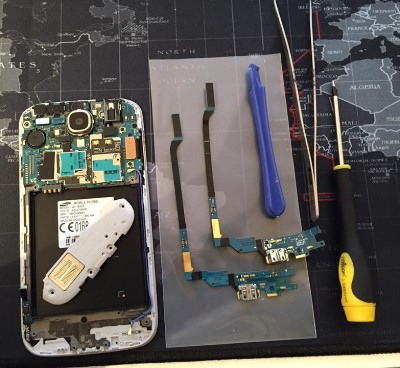 Motorola Moto G charging port replacement. 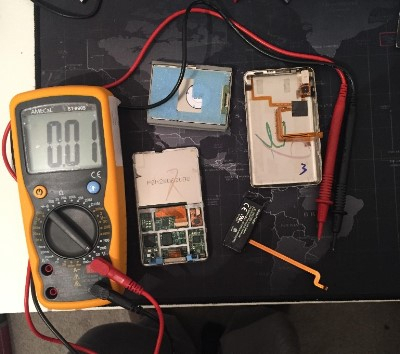 This Lipo balance charger was no longer able to fully charge and balance batteries. We traced the fault to a defective shunt resistor and replaced it. 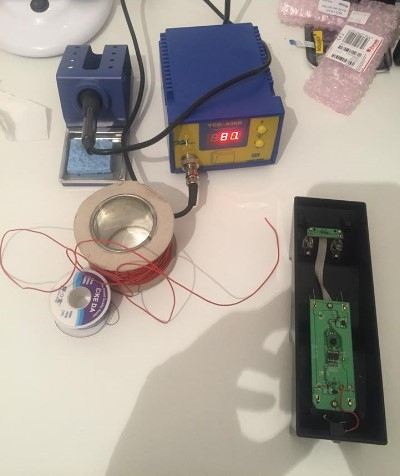 Now it can fully charge and balance Lipo batteries. 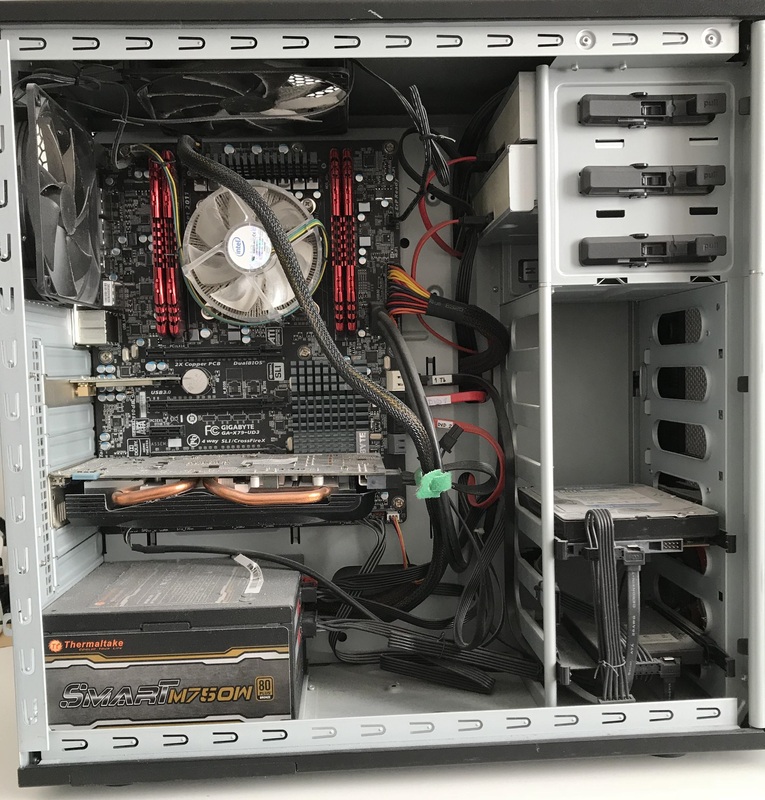 This machine's cable management was not complete in this picture, this was still in the testing phase of the build so had other components to install before tidying up the cabling. 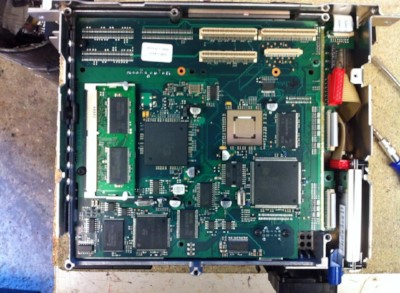 Here we have a 2005 BMW CCC head unit. This unit costs over £1000 to buy and another £500 to program and install. We were able to trace and repair the fault for under £100. 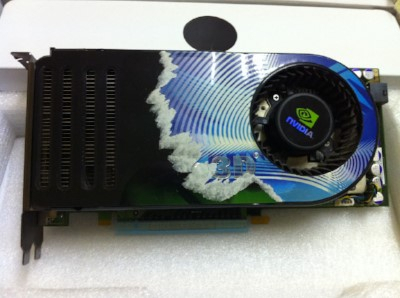 We tore down the card, serviced the cooling system and now the card functions as it should. 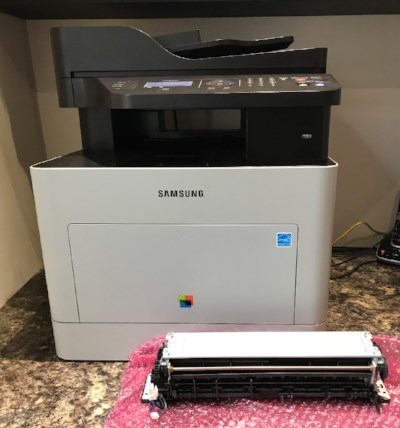 Samsung CLX-6260nd printer fuser replacement. HP motherboard replacement and tested, working great. 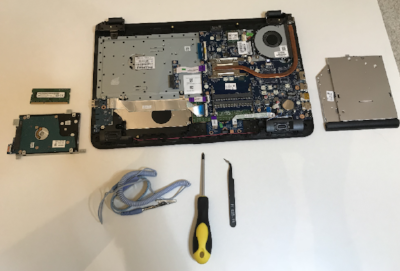 This laptop came to us with a suspected hard drive failure as the laptop failed to detect and therefore boot from the hard disk. 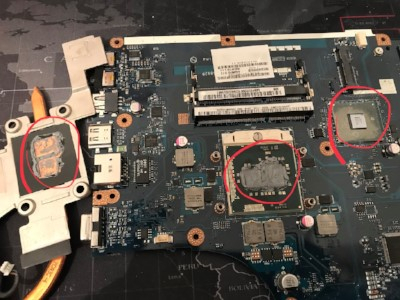 On investigation we found that the Sata port, the port that interfaces the hard drive to the motherboard had been broken. 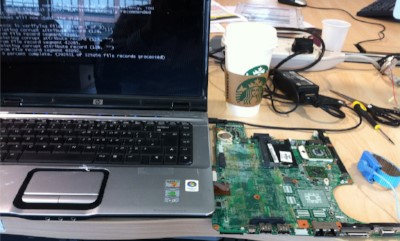 We repaired the damage and the laptop now boots again. Black Circle Android phone screen replacement. 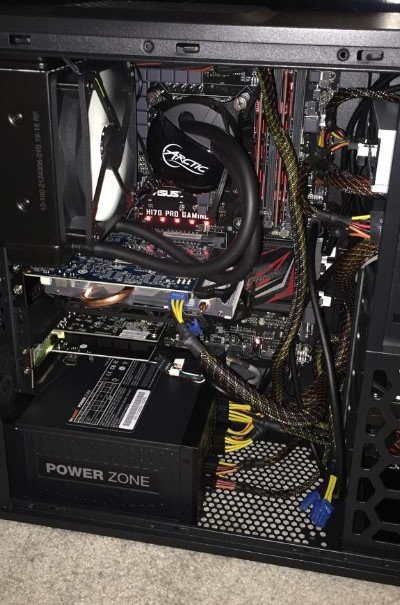 This ASUS All-In-One (AIO) came to us with an over heating problem. As you can see from the photos, the Thermal Interface Material (TIM) has deteriorated and the fans and heating are clogged with dust. We have removed the dust, replaced the TIM and all is working much cooler. Just an example of how we like to run our cables. We always aim for a clean and tidy build when we build or service any machine. This iMac came to us for data recovery. The hard drive had been formatted and a new operating system installed, this meant that that chances for successful recovery were slim. At the same time we serviced the inside of the machine removing all the dust from the fans and heatsinks.